London is home to world-class dining, globally-renowned chefs, Michelin Star restaurants, and just about every type of food in the world. According to Quora, there are 40,000 eating establishments in London, with new ones opening (and closing) on a daily basis. Ask ten people what their favourite restaurants are in London and, chances are, you won’t get a single response in common- there are simply too many restaurants to choose from. On our last visit to London, we were only in the city for six short days. 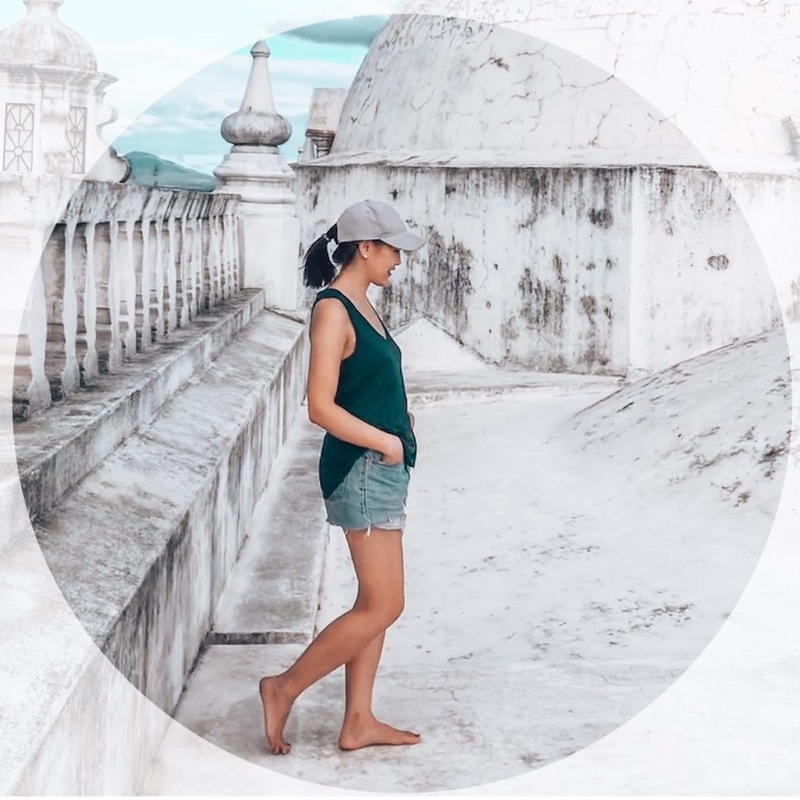 However, as we often do on vacation, we ate out for every meal, which gave us a great opportunity to sample restaurants in a new city and eat our way around the world. So, as my small contribution to the millions of blog posts out there about dining in London, here’s a list of where we ate in London. Now with five restaurants in London opened by Israeli-British chef Yotam Ottolenghi, I knew about this restaurant from a cookbook I received for Christmas a few years back. 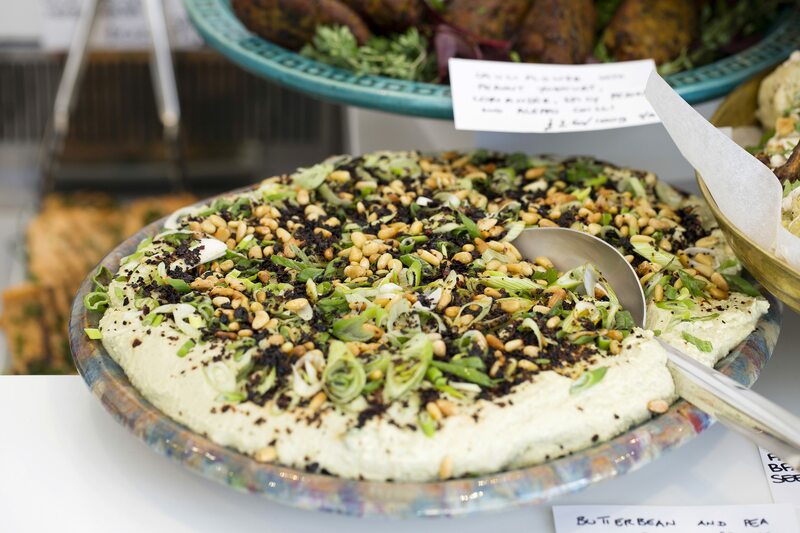 In the cookbook, Ottolenghi restaurants are described as a patisserie, deli, restaurant, and bakery rolled into one. My friend and I went to their newest location in Spitalfields for dinner. Menus change nightly, with lots of veggie-centric options (think: eggplant, cauliflower, chickpea). Arriving at Borough Market just before noon, we saw people queuing up for a restaurant named Padella. So, naturally, we lined up too – if there are people lining up and waiting for the restaurant to open, it must be good, right?! Padella is a fairly new, fresh Italian pasta boutique restaurant. It has won a ton of awards for offering fresh, high quality handmade food, cheap eats, and great value for money…by London standards, anyway! 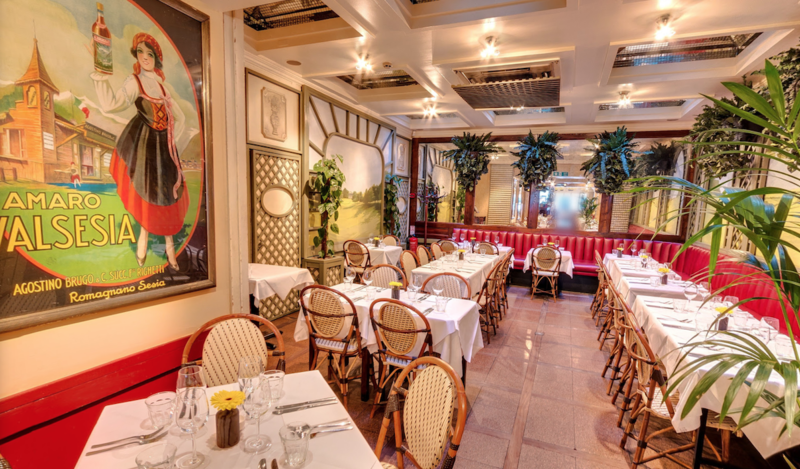 Set off the piazza from London’s vibrant Covent Garden Market, Palm Court Brasserie offers authentic French cuisine in an elegant, white-tablecloth setting. We came here for my friend’s birthday (a small dinner for four people); it was a dark, candlelit restaurant, perfect for an intimate, special-occasion meal and catching up over a long, French dinner. I had the Confit Duck Salad – the salty, richness of the duck and pancetta was balanced out by greens and tart, pickled vegetables. 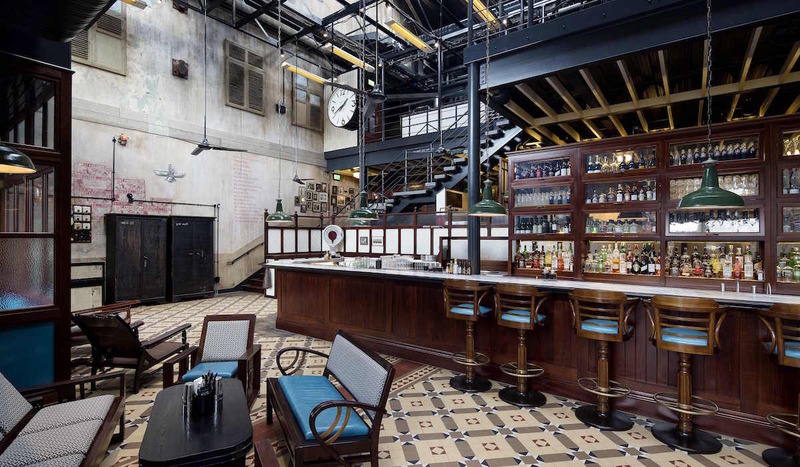 ‘From Bombay with Love’ is Dishoom‘s tagline, an old-meets-new Indian restaurant fused with Irani cafe influence. Hour-long line-ups for dinner are the norm here, which gives you just enough time to check out their cocktail selection at the bar. Highlights of our dinner included Dishoom’s signature dish of House Black Daal (cooked for over 24 hours) and Spicy Lamb Chops (marinated overnight). For something fresh and light to balance out the heaviness of saucy, dishes, I enjoyed Dishoom’s Chilli Malai Pomelo Salad, withi pomelo, kale, mint and cilantro (‘coriander’ on the menu). Of course you should also order their naan (I typically pick garlic!) – no Indian meal is complete without it. Sharing is encouraged for all dishes on the menu. This is your typical English pub seeing Fish ‘n’ Chips, Meat Pies, and burgers. 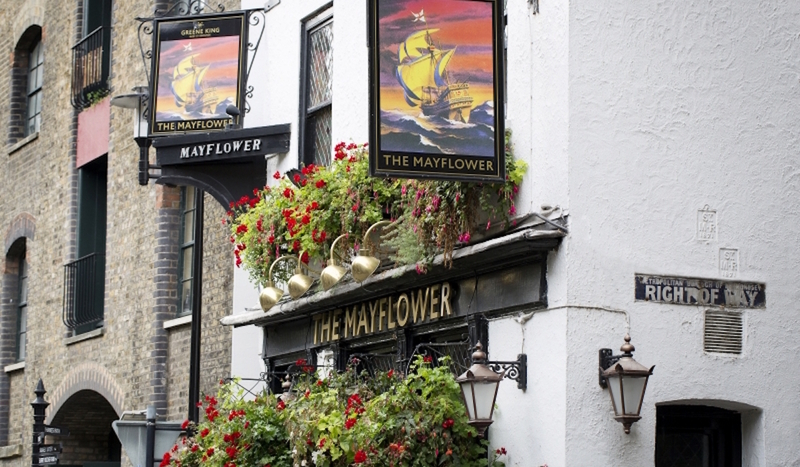 In fact, The Mayflower Pub is the ‘oldest pub on the River Thames’. We came here out of convenience, because of its proximity to our Airbnb, but the food and environment ended up being really enjoyable as well. Best part was sitting on the back patio, with heat lamps, looking over the River Thames. Food was hearty, service was slow – but I’ve since learned that going to a British Pub and hanging out for hours is the norm, and most people aren’t in a rush to get their bill anyway. We ate at this little ramen restaurant in Soho, on our way to the theatre. Honestly, coming from Vancouver, Canada, where there are so many Asian food options, this wasn’t anything special to us. 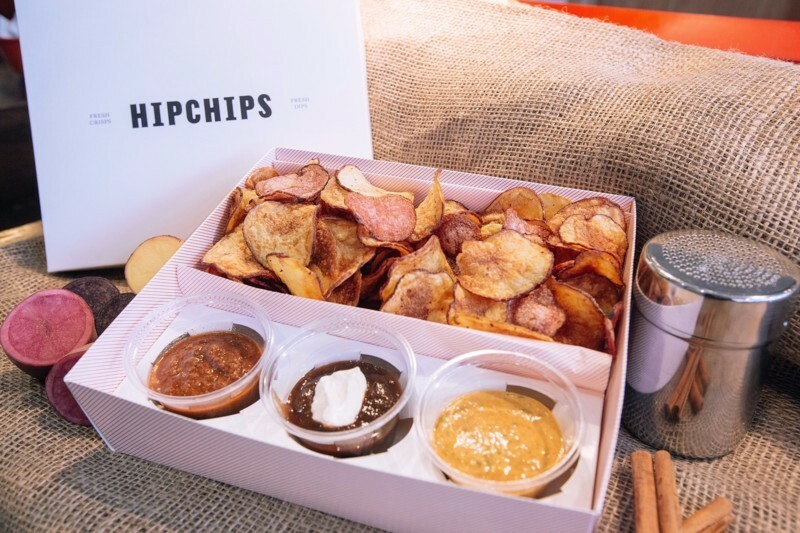 For a snack, we stopped in at HipChips, a London concept of “crisps and dips”: fresh potato chips, paired with your choice of dips. First pick a sweet cinnamon sugar or savoury salt seasoning (you can mix it up with both), then pick your choice of dip(s). Seasonal, rotating options include Baba Ghanoush, Beetroot & Lemongrass Marmalade, Moroccan Yoghurt, Katsu Curry, or sweet ‘pudding dips’ like Creme Brulee or Peanut Butter & Jam. This is a really good place to grab a snack to go, when you can’t decide if you’re craving salty or sweet. This wasn’t a single restaurant, rather, a modern food court housed in shipping containers. Opened in 2011, BOXPARK is a two-storey pop-up mall for independent and global, fashion and lifestyle stores and cafes. On their upper level, streetfood-inspired eateries have arranged themselves into a modern cafeteria. We ordered from Cook Daily (a vegan restaurant with healthy but comforting bowls) and Poptata for french fries (‘chips’ to the British) loaded with toppings. Photography Credit: sourced from the restaurants. Apart from brunch at Dishoom (King’s Cross) which I loved, I haven’t visited any of your other recommendations. Looking forward to trying at least one other from your post during my short visit in 3 weeks time, and sharing my thoughts. Thanks for posting! How nice of the restaurants to let you share those gorgeous photos! I pinned post because the last time I was in London it was eating on the fly and at little hole-in-the-wall pubs – which we liked just fine. But, I think next time, I may want to try one of these places! Not palnning to travel to London, but I saved your post to my favourites <3 Thank you! I totally want to go to the Hipchips! I am a total chip addict. It’s a cool and simple concept! A great place for a snack if you happen to be in the right area.